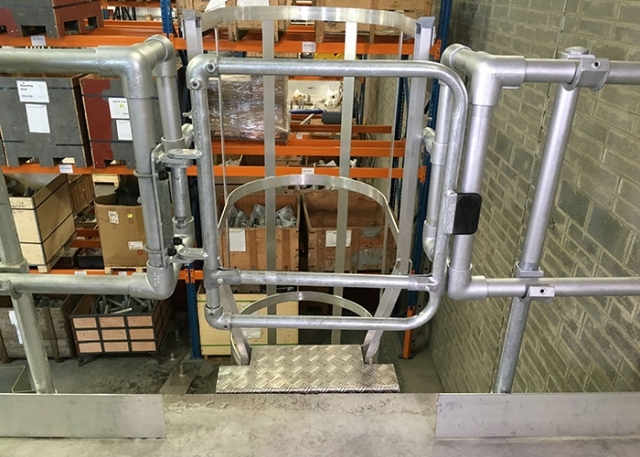 Kee Safety has modified the design of its Kee Gate range to meet the requirements of updated EN ISO 14122-3:2016 Safety of Machinery – Permanent means of access to machinery – Part 3: Stairs, Stepladders and guard-rails. The new Kee Gate range retains the key elements of the existing safety gates, but has been modified to meet the EN Standard. Why Kee Gate safety gates have been redesigned? Released in 2016, the revised EN ISO 14122-3 standard defines the requirements for safe access to machines. It applies to both stationary and mobile machinery where a fixed means of access is necessary. The standard specifies that when the height of a fall could exceed 500mm, a guardrail should be installed, and the chosen system needs to meet several dimensional requirements. It also notes that a self-closing gate should be used. 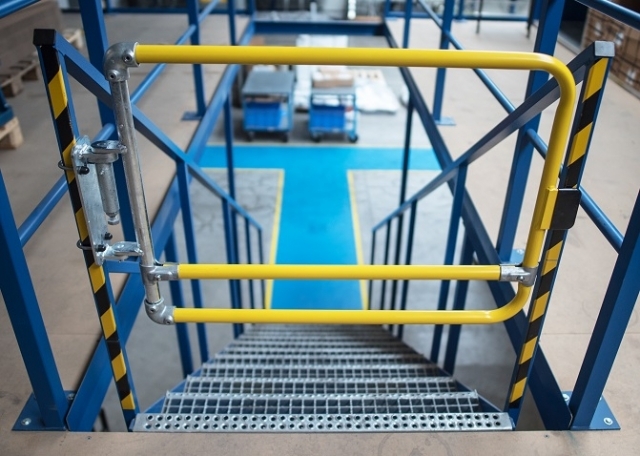 Designed to work both internally and externally, on ladder and stair access points, roof hatches, walkways and roof tops, Kee Gate ensures maintenance, inspection and warehouse staff can fulfil their job, follow best practices and comply with current safety standards, without putting their safety at risk. Kee Gate safety gates are spring loaded so can automatically close behind the user, providing an added level of security and overcoming the potential for human error. This type of system is the preferred solution to chains, bars or sliding tubes, as these traditional forms of protection can lead to a hazardous void, when used incorrectly. The Kee Gate range is available in galvanised steel and if required can be powder coated in safety yellow. It is available with standard 'U' bolts for fixing to uprights of 33.7, 42.4 and 48.3 mm diameter, enabling the gate to be fixed quickly to existing support structures, posts or stringers. An additional fixing pack is provided which allows the gate to be fixed to square, flat or angle uprights. Kee Gate is 1 metre wide and is designed to be trimmed on-site, saving companies the time and money it takes to fabricate their own gates. Is Kee Gate compliant with other standards? As well as being compliant to EN ISO 14122-3:2016, Kee Gate also complies with the requirements of EN 13374 Class A and OSHA, and is CE marked to EN 1090. The system has undergone extensive testing to ensure total reliability of the gates. These include salt spray testing to ASTM B117-11 Neutral solutions over 200 hours to assess the coating’s corrosion resistance, life cycle testing to BS 6375-2:2009 Clause 6.5 – Opening and closing of Gate through 90 degrees 50,000 cycles and Abuse Testing where 9 x 25kg weights were suspended from the gate to test what happens if pressure is applied. This ensures durability, superior corrosion resistance and defence against signs of wear. 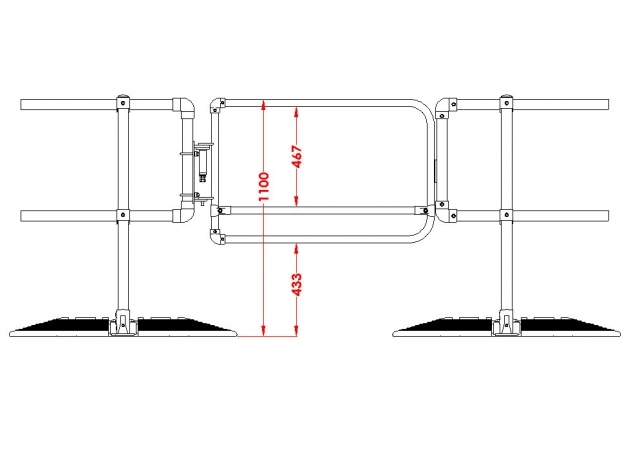 More information about Kee Safety self closing safety gates is available on the KEE GATE product page.